Planning a trip can feel a complicated business sometimes, so my aim is to make things as clear and easy as possible. We hope you will find the answers to any questions here, but if not, please don’t hesitate to Contact Us with any further queries or special requests. You will also find useful links for booking advance tickets to various attractions and other sites that might be helpful, at the bottom of the page. 1. WHAT EXACTLY IS A BLUE BADGE GUIDE? 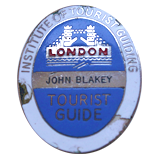 The Blue Badge is the highest qualification it is possible to achieve as a professional, accredited guide and it is issued by UK’s Institute of Tourist Guiding. Blue Badge Guides are considered to be perhaps the most rigorously trained guides in the world and the qualification is considered so important that the year I graduated, we were presented our badges by the British Government’s Minister of Tourism. We undergo nearly 2 years of intense study, travelling all over London & England, culminating in 5, three hour exams and 6 separate oral/practical exams at the main london attractions, such as The British Museum, Westminster Abbey and The Tower of London. Windsor Castle … to name just a few locations. It also means that with us, our guests can bypass some of the longest lines (we call them queues) in London, which can be very handy with a line of 600 outside Westminster Abbey. Our training also means we are qualified to guide extensively outside London, including Oxford, Stratford-Upon-Avon, Stonehenge, Bath just for starters. My Blue Badge (pictured in the upper right had of the site) is a bit battered now, but it makes me hugely proud: it’s means it’s seen action, which is testament to the fact that my guests have also enjoyed some real adventures and created memories they will never forget. 2. WHAT IS THE DIFFERENCE BETWEEN A WALKING & DRIVING TOUR? A WALKING TOUR does exactly what is says on the tin, with the added bonus of being able to travel between sites on buses, tubes and even river boats, just the way us Londoners do every day. It’s a fantastic way to see the city, but do bear in mind that a certain level of fitness is required as the walking will include some steps up and down into tubes stations (our subways) and hopping on and off buses. Your guide will meet you at your hotel or apartment, as long as it is in central London, and off you’ll go! Travel costs for the day are not included in this tour price, so you will need to purchase a One Day Travel Card or Oyster Card if you intend to use the tube and or buses for more than one day. You can buy these in advance, online HERE if you wish. If you decide to travel by black cab, any taxi fares can be paid to the driver, in British Pounds or by credit or debit card. A DRIVING TOUR means spending the day being chauffeured to all the sites in your guide’s vehicle. On a driving tour, all transport, fuel and parking charges are included in the price and when we arrive at each destination you will be rested and ready to explore each area on foot. They will collect you from your central London hotel, drive you to the the various sites and areas, where you can then explore on foot. We have guides with vehicles ranging from Mercedes Saloon Cars for up to four passengers, to MPV’s for up to 6. If your group is larger than 6, do Contact Us with details, and we can probably arrange for a separate driver with mini-coach to transport your group and your guide. Please note that this year, 2017, as a result of a recent significant increase in app hailed minicabs in central London, and other factors, we advise doing London tours on foot and public transport. However, if you would prefer to be driven, no problem, your guide will make your journeys a pleasure! 3. CAN YOU GET ME PAST THE LINES? The three places with the longest lines are Westminster Abbey, The Tower of London and Windsor Castle. At The Abbey, yes, we can get you past the lines (we call them queues here!) and very satisfying it is too! At the Tower of London, we will send you a link to the best place to book your tickets in advance. Once you have these, you don’t need to line up to get tickets on the day. At Windsor Castle, we strongly suggest that you book your tickets in advance, online. Please see the links below to book your tours in advance; please do this only after we have discussed your itinerary. 4. WHAT IS INCLUDED IN THE PRICE AND WHAT IS NOT? When you book a Walking Tour, all pre-planning and guiding services are included in the tour fee. Refreshments, transport costs and admission fees to the various sites and attractions are not included. When you book a Driving Tour, all pre-planning, guiding services, fuel and parking are included in the tour fee. All refreshments and admission fees to the various sites and attractions are not included. 5. SHOULD I BUY A LONDON PASS? That very much depends on how much you’re likely to use it. The London Pass is only good value if you use it to it’s full capacity. However, it does mean that you can bypass lines at some attractions. You need to carefully read what the pass entitles to you and work out whether you would use it enough to make the cost worthwhile. You can buy a 1, 2, 3, 6 or 10 day pass, depending on how long you will be in London. 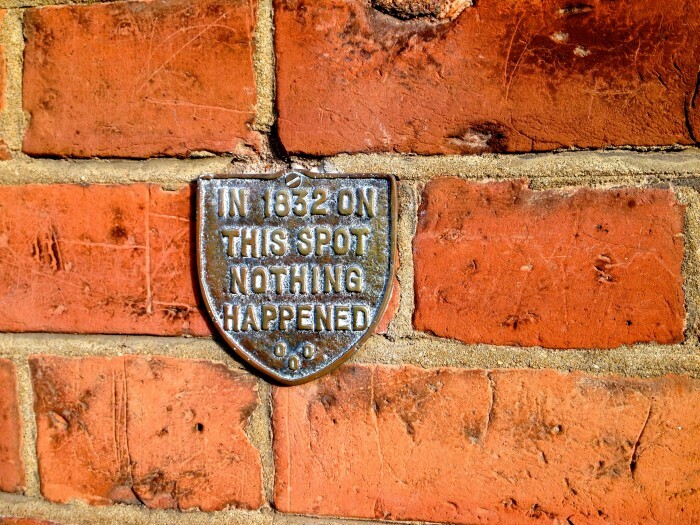 It is also valid for Windsor Castle and Hampton Court, both just on the edge of London. 6. CAN YOU BOOK US A HOTEL? We are not a travel agency, so do not book the hotels. One reason is, should you need to cancel your trip to the UK for any reason, if you have booked the hotel, using your credit card, it is much easier for you to claim compensation. It is usually possible to book directly on the hotel’s website anyway. HOWEVER! We have plenty of ideas about where to stay both in London and out of London, if you decide to do some overnight touring with one of our guides. Everything from smart London B&B’s to luxury 5 Star Hotels; or old manor house hotels and lovely old creaky inns, in the countryside. We can send you recommendations based on your needs, on request when booking your tour. 7. CAN YOU BOOK US TICKETS FOR THE SITES & ATTRACTIONS? We do not book tickets for guests as the venue may ask to see the card and card holder’s ID when collecting tickets. It’s much more secure if each guest is in charge of their own travel documents and tickets. That leaves us free to concentrate on making sure that your tours in England are perfect for you. We will give you all the information you need to book your tickets, including links to the official websites. 8. HOW FAR IN ADVANCE SHOULD I BOOK? AND HOW DO I PAY? It’s best to book as soon as you know your travel dates, as our guides do get booked weeks, even months, in advance. People do like to plan! However, please do get in touch even if it’s a last minute request as you never know how schedules can change and we will always do our best to accommodate you. A 25% non-refundable deposit secures a booking and the balance is payable 28 days before the first booked tour date. Visa, Mastercard and American Express are all accepted. However, some guides don’t accept cards, so you can pay them by wire transfer or in cash, in British Pounds, on the day of your tour. If you are paying by card, for security, we are happy to call you if you give us the best number. Please also let us know what time zone you’re in so that we can call you at a civilised time! 9. IS THERE A LIMIT TO THE NUMBER IN OUR PARTY? For London tours, doing Walking Tours and we usually set a maximum of 20. The price is the same, whether for 2 or 20. However, if your tour requires a car, MPV or mini coach, we should be able to accommodate you and your group, whether using a driver-guide or separate guide and driver. Just ask. 10. ARE YOU / WE INSURED AND PROTECTED WHILE ON YOUR TOURS? We have full Public Liability Insurance. We are also fully insured and licensed to carry passengers in our vehicles. We are, as all good driver-guides should be, fully CRB checked, our vehicles are inspected once a year, and have mandatory MOT (Ministry of Transport) tests twice a year. Our insurance however, does not cover us or you for cancellations; so we strongly recommend that you take out suitable travel insurance to cover any losses that may arise from cancellations, or for medical assistance. 11. CAN YOU ARRANGE AIRPORT TRANSFERS TO OUR LONDON HOTEL? Depending on your arrival time, it sometimes makes sense for a driver-guide to collect you at the airport and take you on a 3/4 hour introduction to London tour, before dropping you at your hotel. If you are arriving early and think you may like to do this, just ask us to quote for a combined transfer and tour. If you would simply like a private transfer to or from your hotel, just let me know and I can put you in touch with a top notch chauffeur company who will meet you at arrivals, help with your luggage and generally look after you very well! We can also arrange VIP airside assistance – just let us know. 12. WHAT ARE YOUR TERMS, CONDITIONS AND CANCELLATION FEES? A 25% non-refundable deposit is required to confirm a booking. The balance is payable 28 days before the first booked touring date. We strongly advise you to take out travel insurance which may cover the cost of any losses that may arise from any cancellations. In the event that your guide considers that you should not attempt to do a specific tour – for example because of unexpected adverse weather – and there is no mutually agreeable alternative tour, you would receive a full refund for any monies paid for guide services. Refunds will not be made for any tours cancelled by clients because of conditions prevailing outside the UK. Such refunds should be covered by clients’ Travel Insurance. Experience England (John Blakey Private Tours) cannot be responsible for cancellations due to unscheduled closures by third party suppliers, or events beyond its control, but will do all possible to offer an alternative. Nor is it liable for any loss, accident, injury or damage to clients and their personal effects. UK law requires seat belts to be worn by all occupants of a moving vehicle. UK law forbids smoking in any Private Hire Vehicle. If clients wish to extend their tour beyond the agreed booked time, this is normally possible, subject to mutual agreement about the additional expense this will incur. Please only book your advance tickets once you have confirmed your booking and itinerary with me. BOOK TICKETS FOR STONEHENGE – Please make sure to book the correct time slot and please check with me before booking.